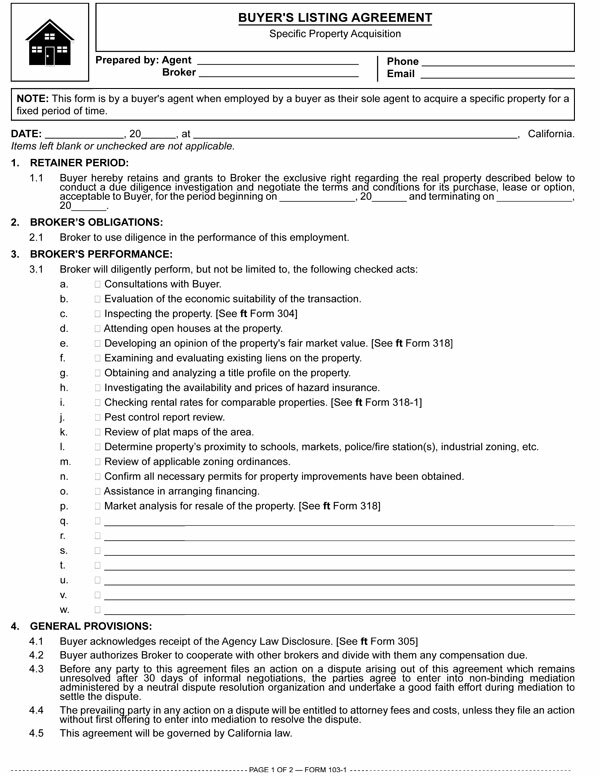 This form is used by a buyer’s agent when entering into the employment of a buyer as their sole agent retained for a fixed period of time, to negotiate the acquisition of a specific property. When the buyer has selected a specific property and no prior fee agreement has been agreed to in writing, the agent needs to enter into a written single property fee agreement with their buyer. Use of the single property fee agreement is particularly critical in a real estate auction situation. At an auction, a buyer’s agent has absolutely no assurance their buyer will be the highest bidder who acquires the property. Thus, a buyer’s agent under a regular buyer’s listing agreement calling for a fee to be paid on the buyer’s acquisition of the property runs the risk of receiving no compensation for their time, effort and talent performing due diligence investigations and assisting in the bidding.